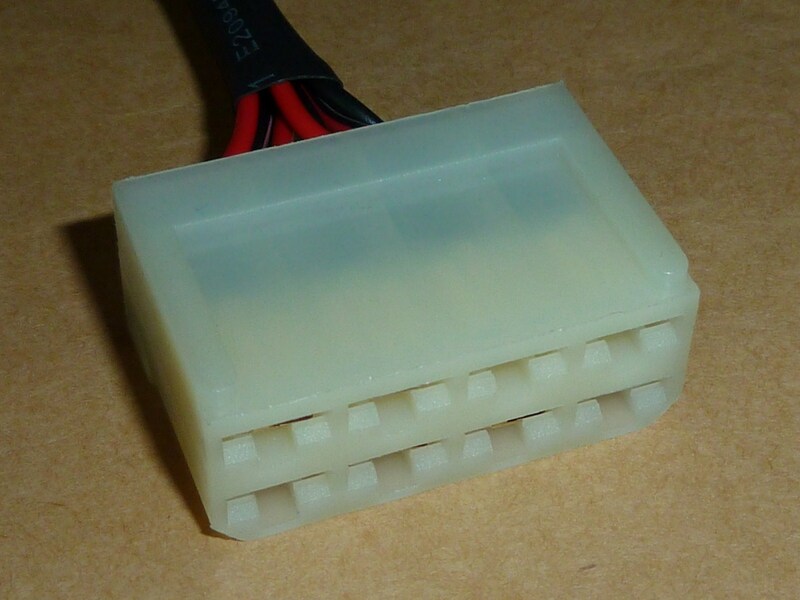 SLA battery banks that are connected in series and then charged via a 48V, 60V or 72V charger (depending on the number of batteries) are not always charged evenly, and when the bike is used, the batteries do not discharge evenly either. This is due to discrepancies in the quality of batteries used. With constant use, and over numerous discharge/recharge cycles these discrepancies become magnified and the charge in the batteries fall out of balance, with some cells having a higher charge level than others. If the bike is not used very often, and is periodically charged to maintain the the batteries, then they will – over time – naturally self-balance. But if the bike is used frequently, especially on a daily basis, then the batteries will gradually fall out of balance. An un-balanced battery bank means impaired performance, as a serial battery bank is only as good as the charge of its weakest cell. Batteries will therefore periodically need balancing, which means charging them all individually with an ordinary 12V charger to bring them all back up to their peak charge. Because of the poor accessibility of the bike’s primary battery bank, though, this can be a tedious job. 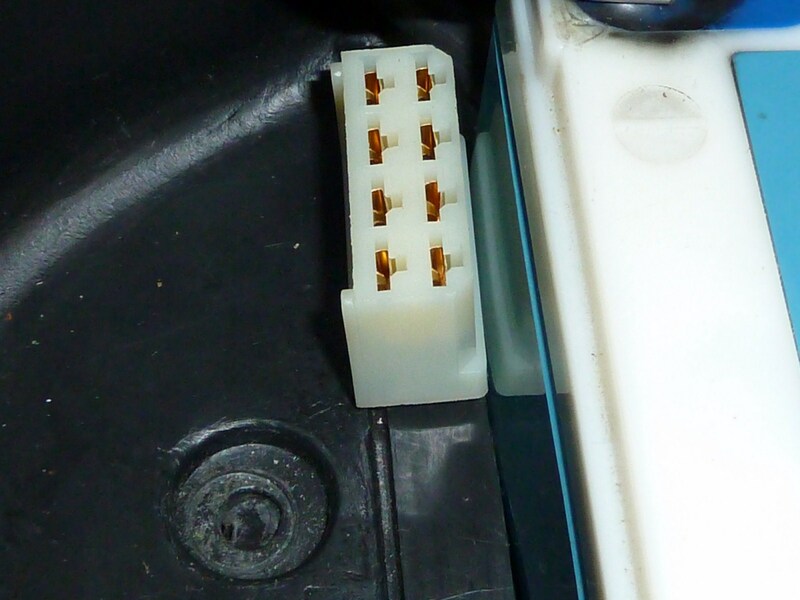 The seat assembly must be removed, and the securing cross-bar on top of the battery bank needs to be detached to allow better access to the terminals. Furthermore, if the bike has been upgraded to 60V or 72V, it also means detaching and removing the extra battery or batteries that sit on top of the original bank. 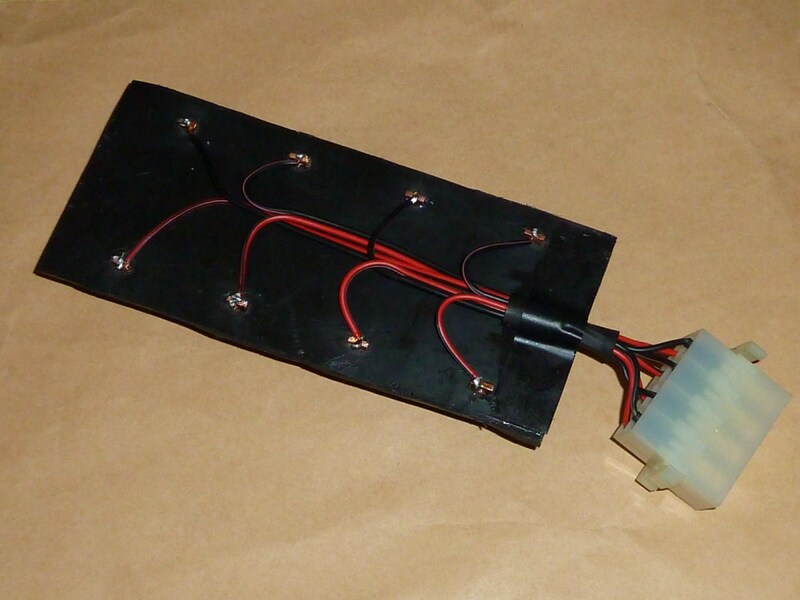 It’s a nice idea, then, to have a convenient way of accessing the terminals of the battery bank by routing a series of small gauge feed-wires from the terminals of the bank to a suitable board. 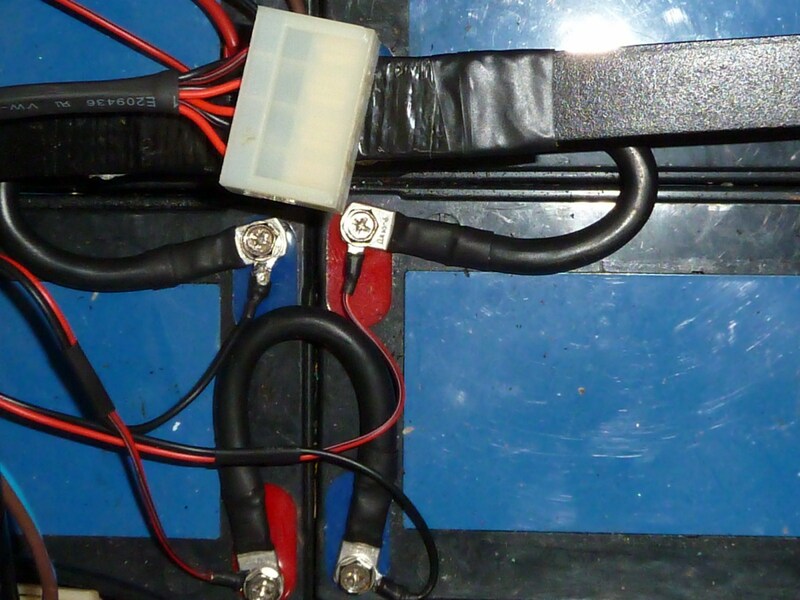 I’ve spent some time coming up with an elegant and safe way of achieving this via an eight pin connector which sits under the seat, and which can be used to monitor battery voltages, and – if necessary – enable individual cells to be recharged without the need for dismantling the bike. 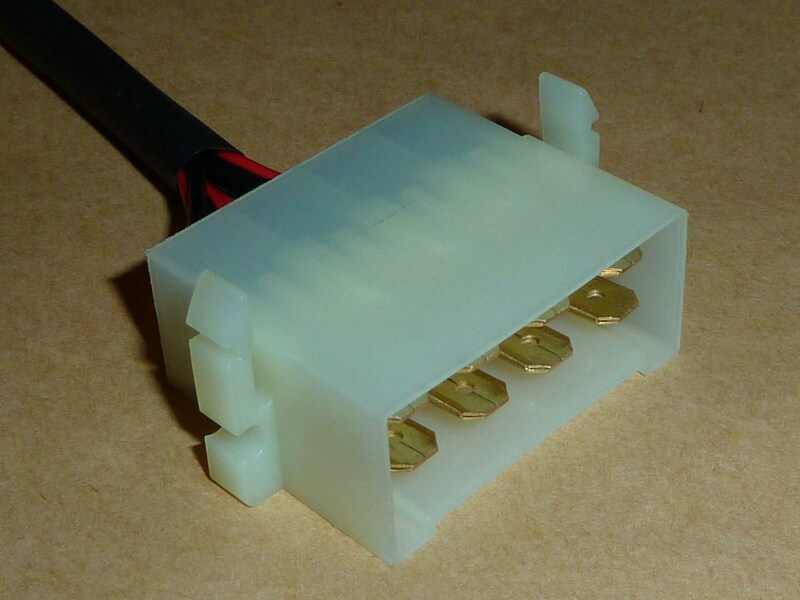 The principle is very simple – to extend leads from each battery terminal to a suitable assembly – but the actual work is quite fiddly and time-consuming. This is something for a rainy day or two, or else – like I did – to break up into little stages to do in your spare time over the course of a week or two. 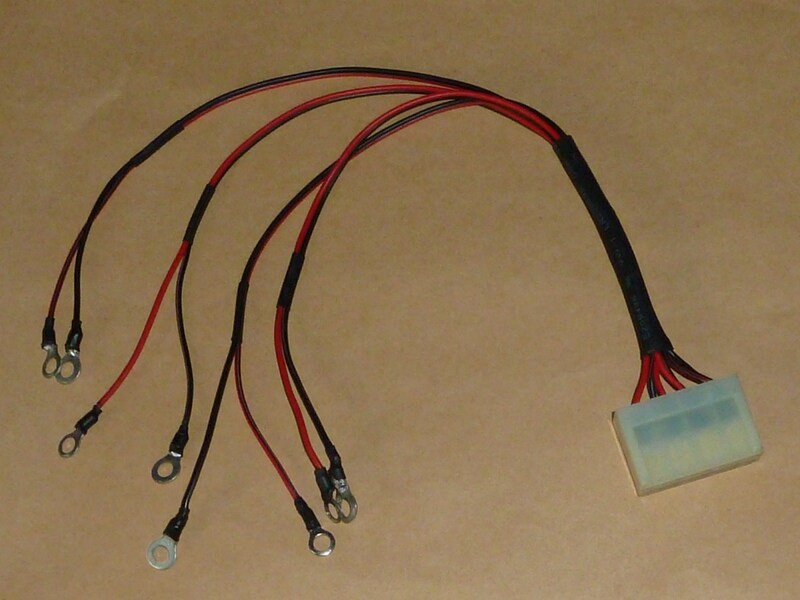 The first stage is to build a cable that runs from the battery heads to the female side of an eight way connector that can be mounted in the underseat storage compartment. 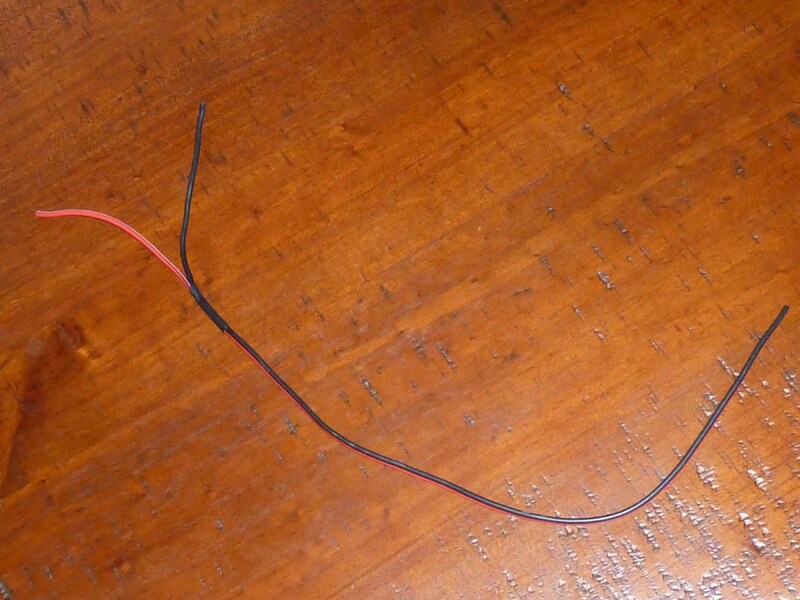 I’ve used 10 amp figure of eight cable, which is solid enough to carry a charge current (and even to power things off of), but flimsy enough to act as a fuse if an accident happens and the terminal heads get shorted. First, you need four lengths of the cable. About an 450mm (18″) length of each should suffice as it doesn’t need to run very far. I’ve split this off at the end into two 75mm (3″) lengths, just far enough for the separate wires to reach the terminals of each battery. For good measure I put a bit of heat-shrink at the junction of the ‘Y’ in the cable to secure it. Next you need to crimp the connectors onto the ends. I’ve used more heat shrink here, and also soldered the crimp for added strength, as it’s important that these don’t work loose. 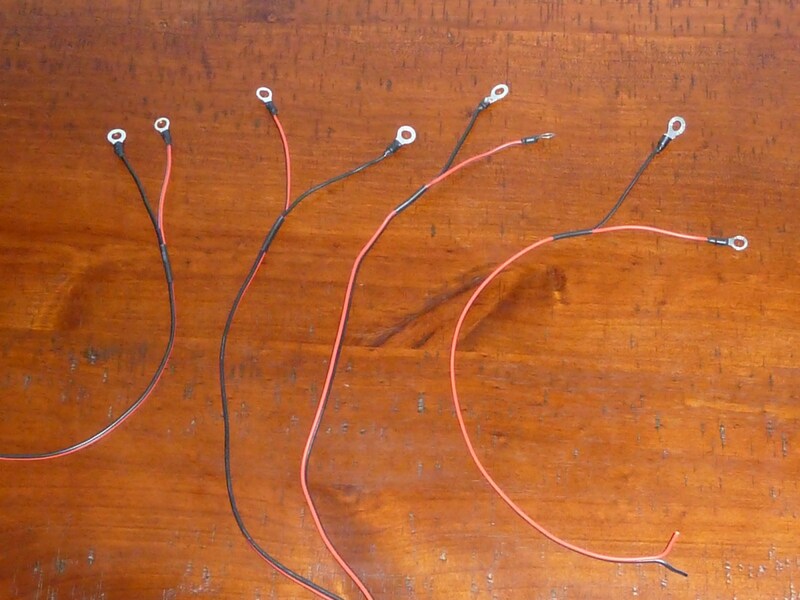 And here’s all four of the assembled cables that are ready to be combined into one tidy, larger one. 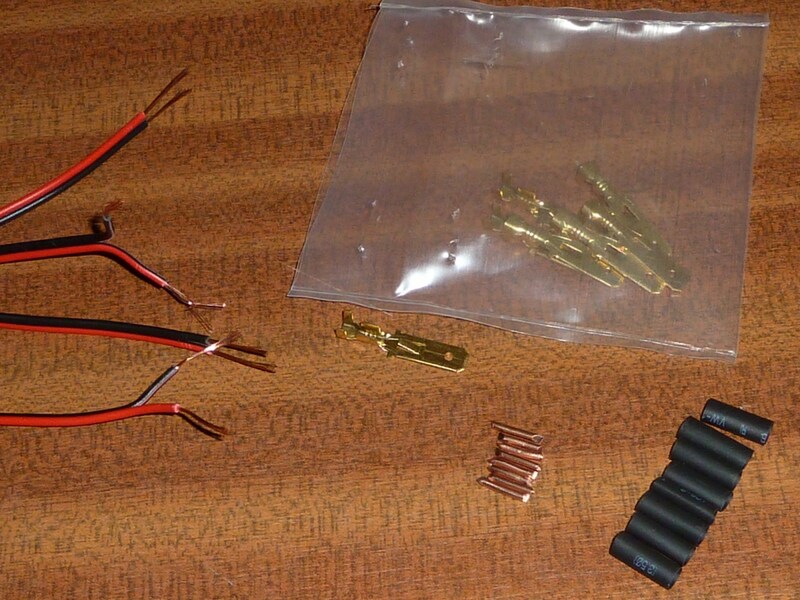 I’ve used a larger bore length of heat shrink, here, to tie all the cables together. 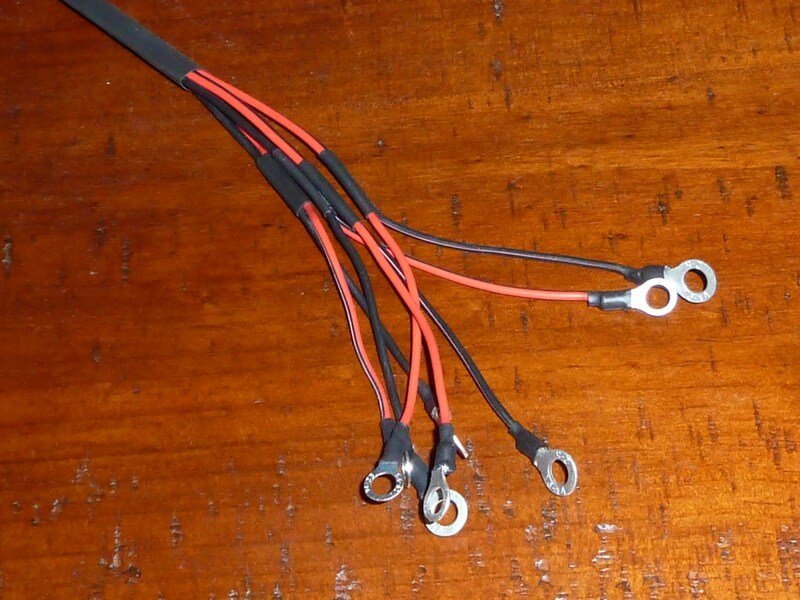 The other ends of the wires are crimped to the spade connectors that comprise the female side of the eight way connector. The end result looks like this. Once checked for continuity, it can then be hooked up to the bike’s battery bank. While you’re attaching them to the batteries, use a continuity tester, again, to check which pins of the connector each battery correspond too, and note it down. That way you can know exactly which battery you’re dealing with. 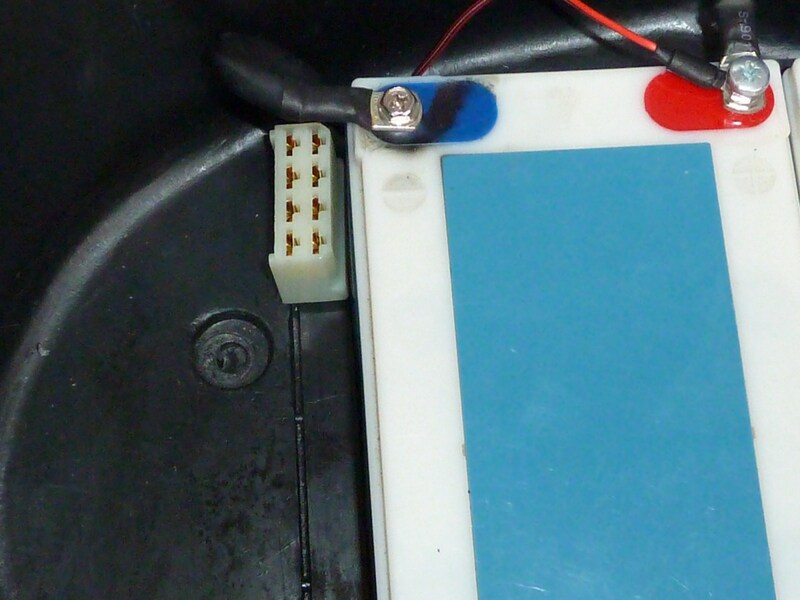 This is helpful if you’re running your 12V battery system or other interfaces (such as a car accessory socket) of a particular battery, and would like to keep track of which is which. 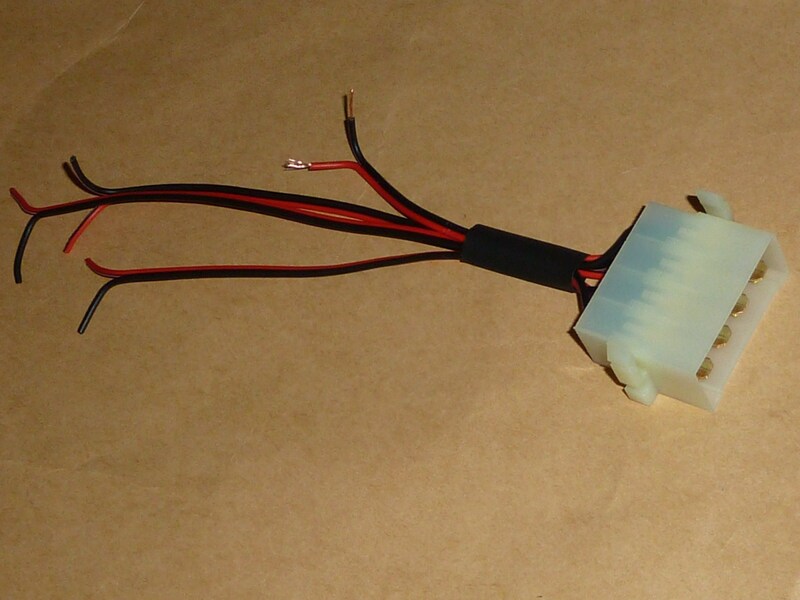 Here’s the cable in situ, with its connector rigged up to the battery bank. I’ve cut a small rectangular notch by the hole for the extra batteries here in my 72V arrangement, leaving enough space for the wires to sit comfortably, but making it small enough to keep the connector anchored to the top-side of the underseat compartment base so it can’t fall through. 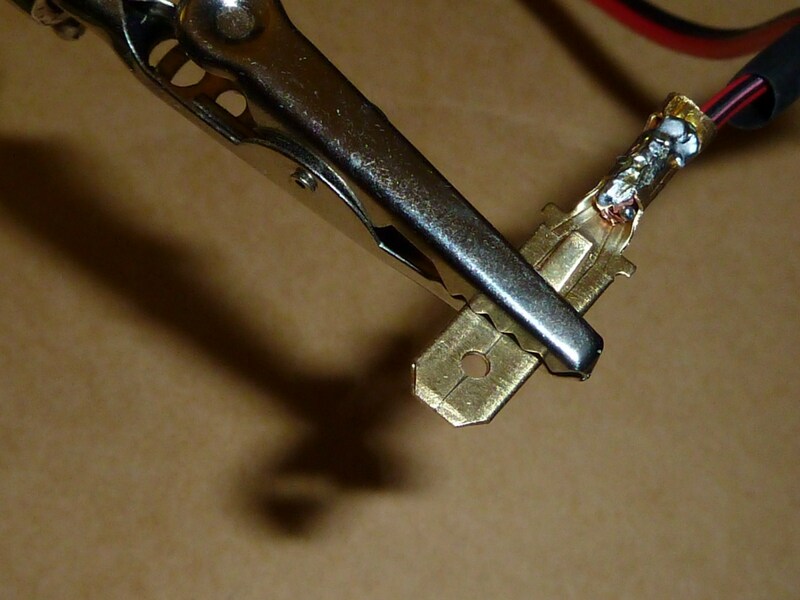 It’s also loose enough pull through a small amount and manoevre into the right position to connect to its male couterpart. 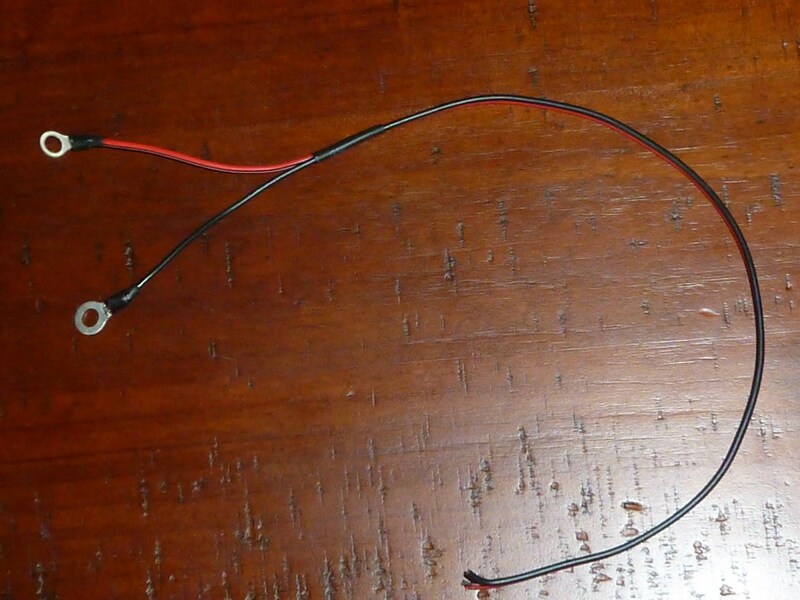 Once this is in place, you already have a useful header that can be used to take voltages, and even to recharge with a basic cable. 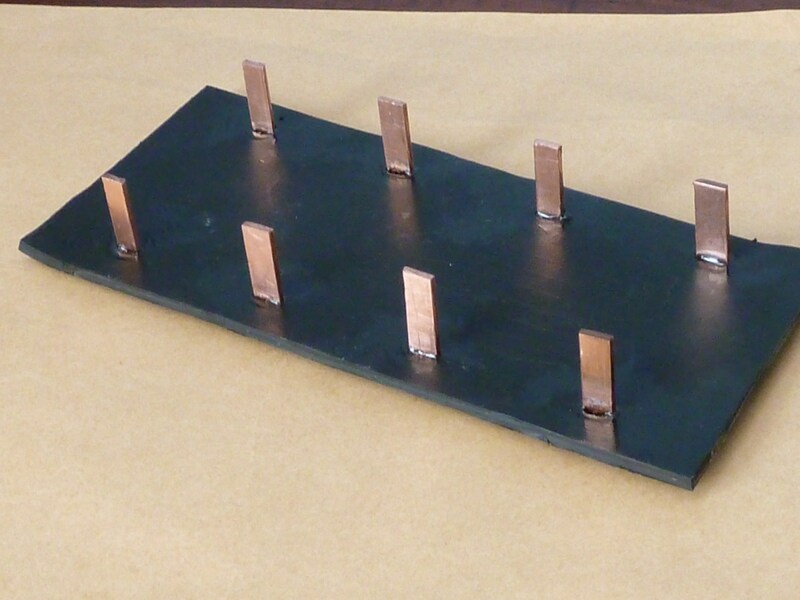 But I’ve gone the whole hog and put together a posh looking board – complete with template – that can plug into this and be used to directly clip one or more 12V battery chargers onto. When I cut a hole in my seat for the 60V and 72V upgrades, I put aside the bits of plastic I cut out in case they came in handing later. 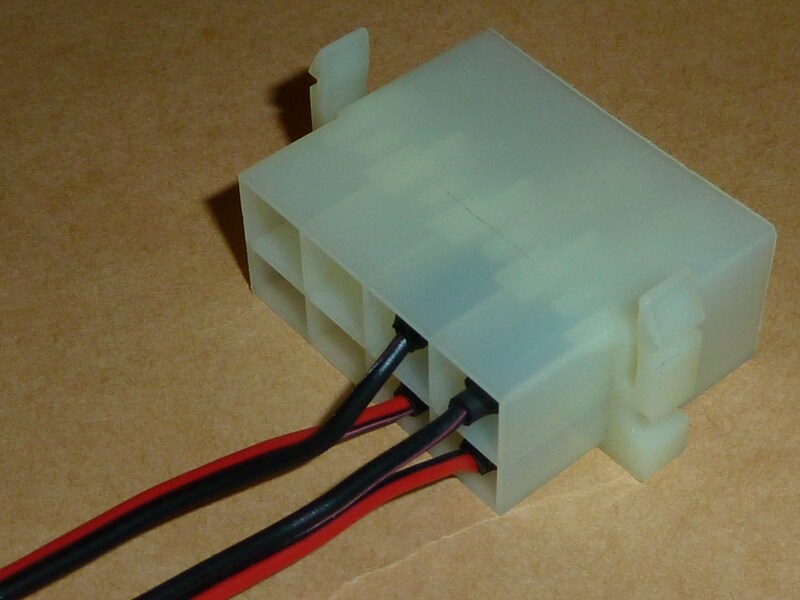 One of these was just right for me to fashion a little board for my external connector heads. 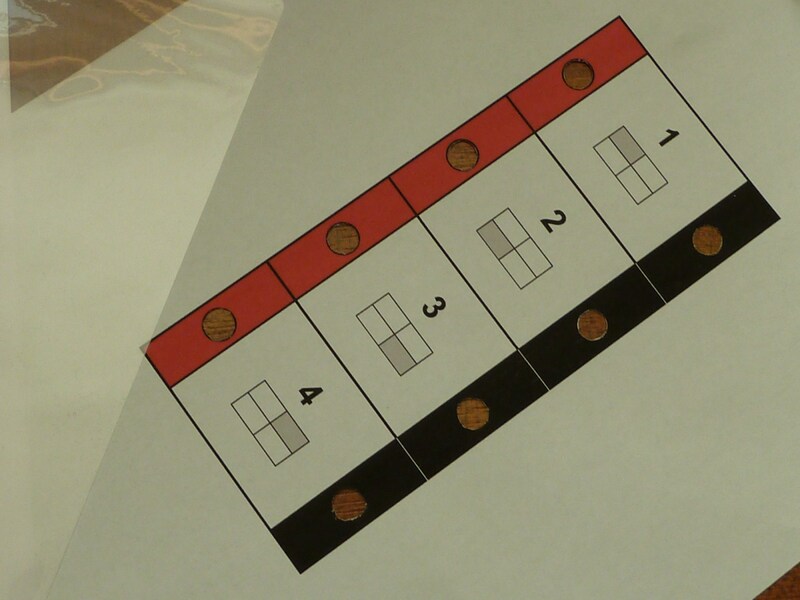 Mine was 160 x 70mm (2¾ x 6¼”) , but you can make this any size you please. Just bear in mind that it’s desirable if it can fit in the space alongside any underseat batteries you have, but shouldn’t be so small that the terminal heads are in danger of being shorted by any clips that you hook onto them. That would make a bit of a mess out of your fuse-grade wiring. To accomodate the terminal heads, I simply melted holes at set intervals (about 38mm, here) with a soldering iron, then cut off the goop with a craft knife. You could of course just drill them instead. 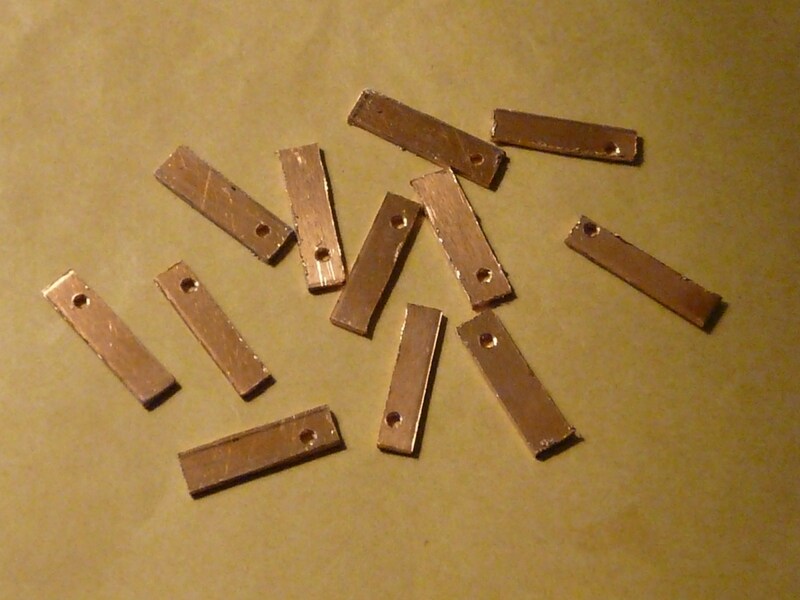 For the terminals themselves, I opted to make mine from scratch from a piece of copper plate. 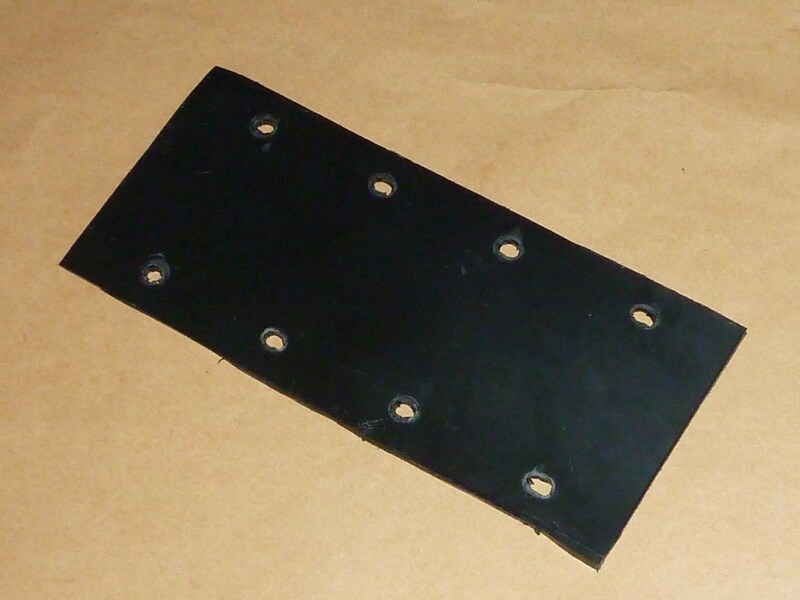 I cut out little 28 x 8mm plates with a hacksaw, in which I’d pre-drilled holes to thread the wires through prior to soldering. 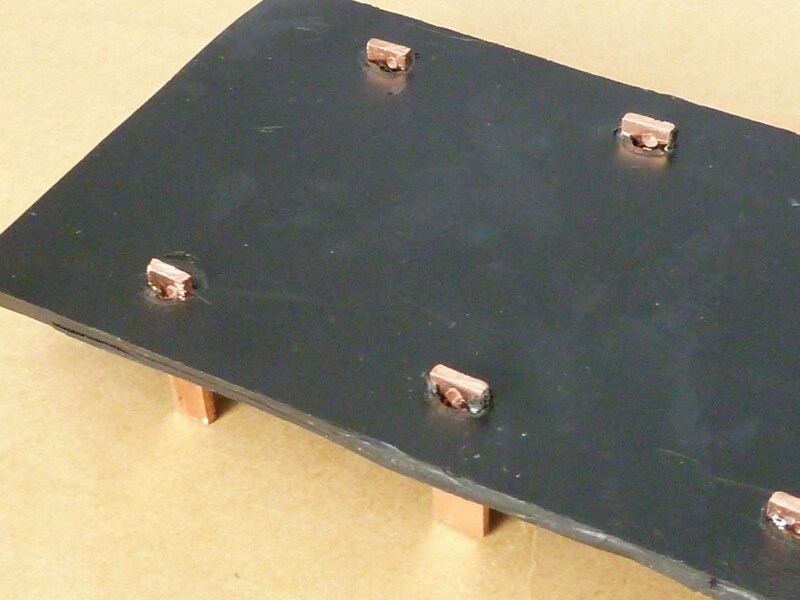 If you don’t want to go to all this trouble, then you could just use some bolts, and secure them to your wires by sandwiching them between a couple of nuts on the board’s underside. That was my original plan, but in the end I went for this deluxe solution. I wasn’t happy with the 4mm holes I originally drilled, so I drilled smaller, 2mm ones closer to the end. The old holes were eventually hidden in the layer of my plastic board, so only the new, corrected holes showed round the back. I made my holes small enough so the connectors were a tight fit, then I used epoxy resin round the base where they connected to glue them solidly in place. 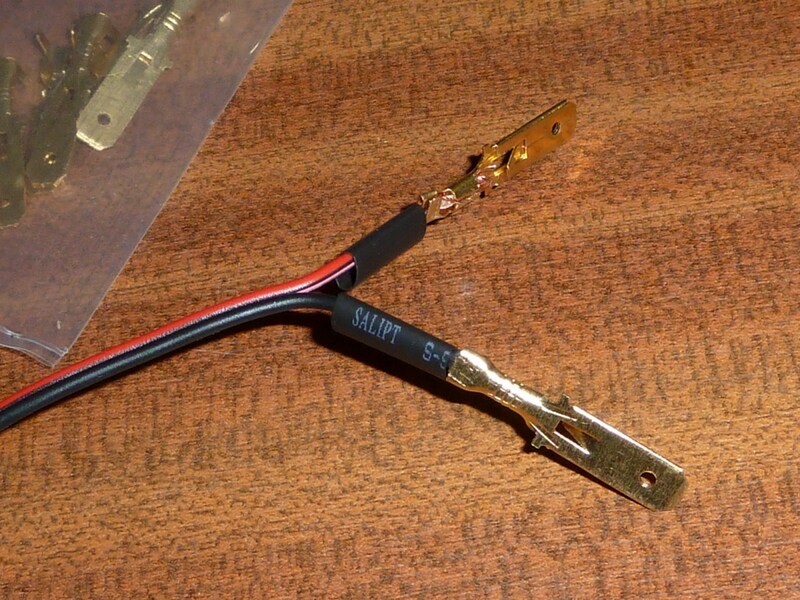 Be careful not to get any glue on the connector ends where the wires go, as you need to solder them. Below is the board shown from the underside, with the little (new) 2mm holes showing where we can thread and solder the cable wires. 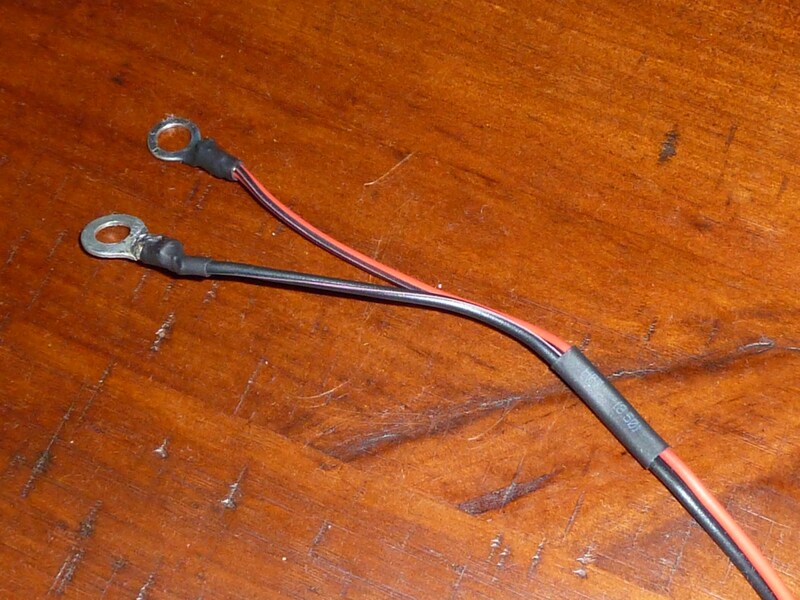 The next stage is to hook a corresponding set of wires to the other (male) side of the connector. Your wires can be as long as you need them to be to reach the corresponding heads on the board, but I cut each pair to correspondingly longer lengths to help me keep track of which pins I wanted to go to which terminal heads. I took more pictures this time, so you can see what I was doing to wire in the pins. 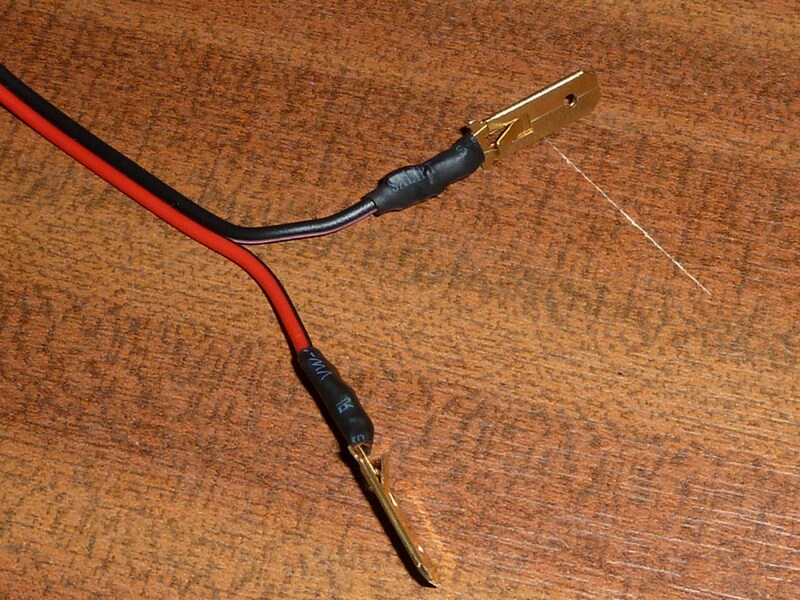 I assembled short lengths of heat shrink that the wire would go through prior to crimping the connectors onto the male pins. 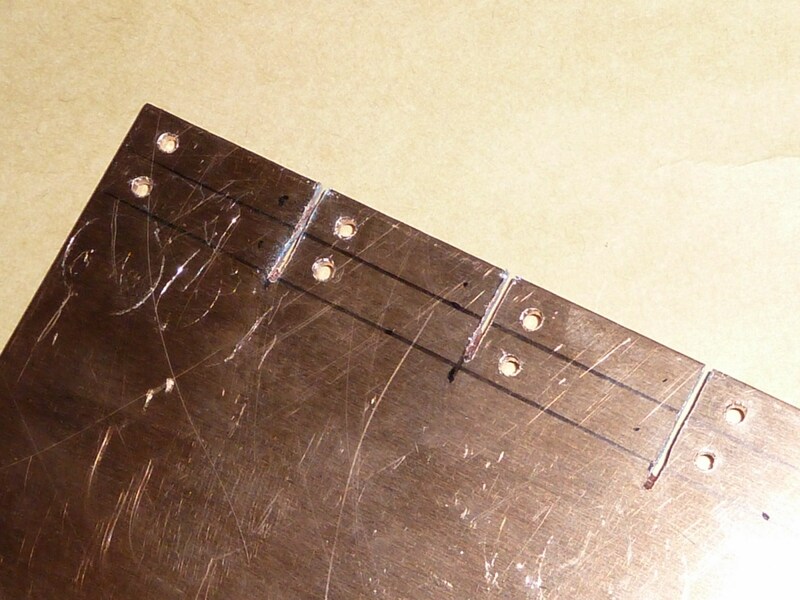 I also used little 5mm bits of thick copper wire to reinforce the small wires’ connection to the relatively large crimps. Here I’ve just crimped them, and am about to add a bit of solder to reinforce the connections. Then I push the heat-shrink up into place and warm it with a lighter to give a nice solid seal. The pins then go into the connector, in the order of their corresponding terminals on the header board. I’ve added another thick gauge piece of heat-shrink to wrap all the wires into one short stump of cable, but you can make this trunk as long as you need. I was content with just a short length as I wanted the board to just sit by the connector in the underseat compartment. Next, I glue the neck of the cable to the board and reinforce it with a strip of – also glued – insulating tape. Then the wires are cut and stripped to the right size, threaded through the holes at the base of the terminals, then soldered in place. Then I run two other strips of insulating tape along either sides of the boards base, covering the soldered connections. For the final step, I’ve beautified the assembly by adding a template to slide over the terminal heads and sit on top of the board, which can then be glued on if needs be. It’s a pretty illustration showing which terminals of which batteries the header points connect to. Tip: You can print the template image to any dimensions you want from the printer ‘options’ or ‘properties’ dialogue of your software. Under the ‘features’ tab, in the dropdown options for paper size (or elsewhere if you’re not using Windows), there should a ‘custom’ option where you can specify the exact width and height of the printed image. You should make the image slightly (2mm or so) smaller than the board to make room for a border if you laminate it like I did. Next I printed out and cut out my template before putting it through a laminator. I also cut out the holes in the template first, so that the edges of the holes would also be nicely laminated. 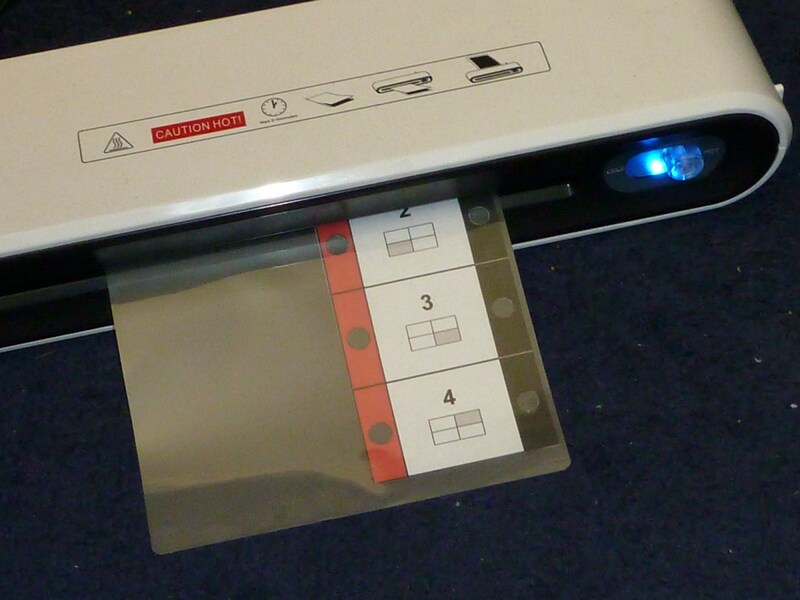 Finally, the laminated piece is cut to the right size, and holes made for the terminal pins. 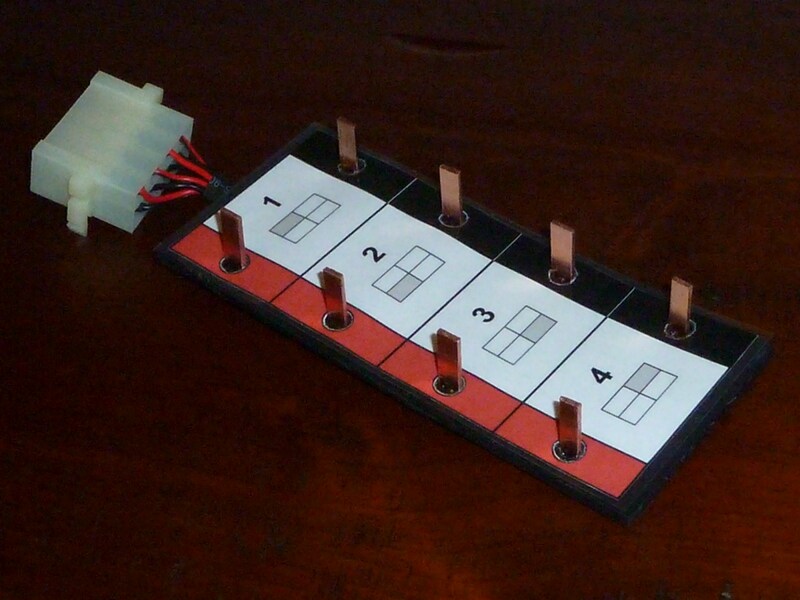 And voila – a handy, professional-looking battery header board for all your battery checking and maintenance needs! You are currently browsing the archives for the 4.5.2. 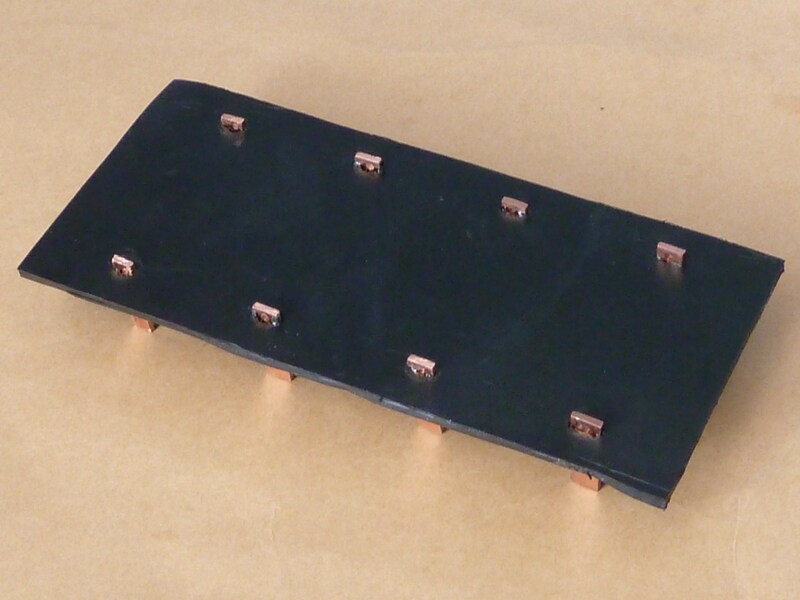 Building a Battery Header Board category.